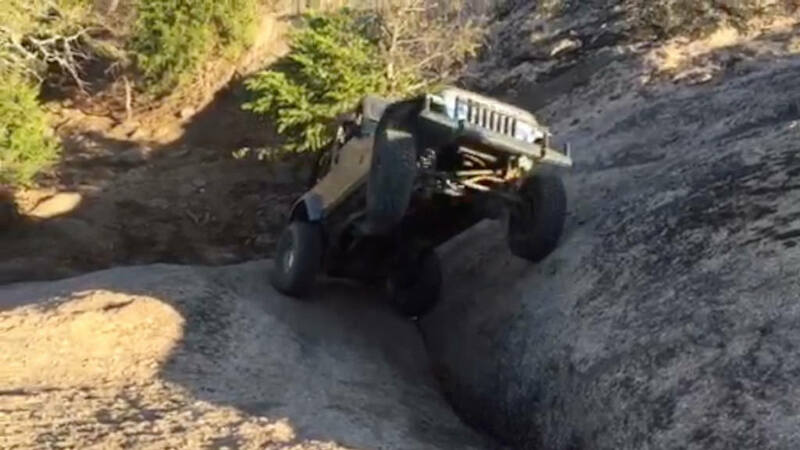 Congratulations to Lane “63Willys” for December 2015 JOTM Winner! This picture was taken while on a camping trip to Arbuckle Offroad Park with Shawn Tinkam aka Shawn, Steve Jones aka chyznachoslayer and Dean Cline aka Dac Dac. We were up on top of the big rock outcropping watching a group of side by side and quad drivers rescue one of their own that had rolled down into the trees while trying to climb another part of the rock (they initially refused our help). Dean and I decided to give a shot at climbing up to the top over the big crack in the rock. My initial line wasn’t quite right which brought the passenger tire off the ground but Dean straightened me out. Steve and Shawn were at the top cheering and filming as it happened. It was a very fun weekend of camping and wheeling with our sons. ← November 2015 JOTM Winner!